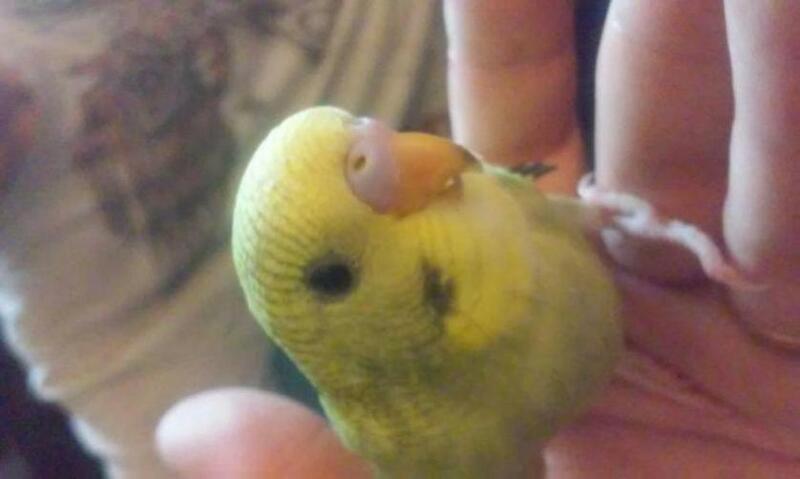 My baby budgie, Sprite, has a dark mark on its beak tip, I think, from papas aggressive feeding. They are now eating on their own and seperated from their parents. Will the bruising fade? It's eating fine. Many baby budgies have a darkly colored beak initially. As they begin to grow the beak grows the way a fingernail does and the bottom end wears off as they eat and chew on their toys. The dark portion of the beak will definitely disappear with time. 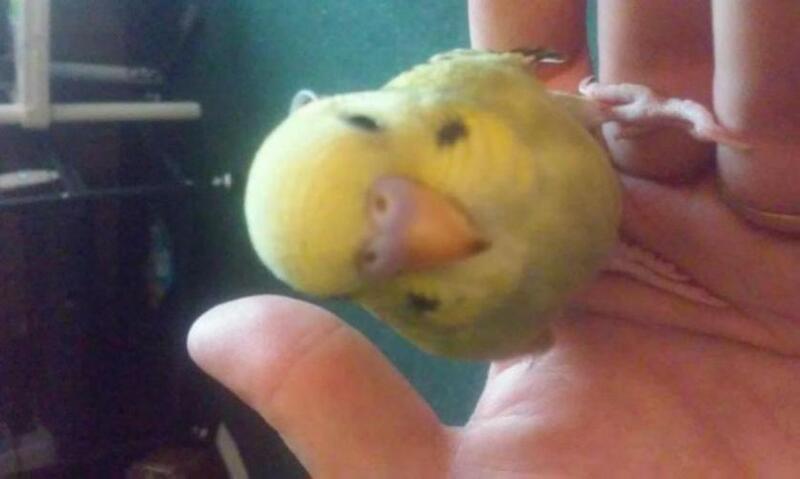 Sprite is an adorable little budgie!! Sprite is precious! Some budgie beaks have more melanin in them initially, which will fade over time, as mentioned. What a sweet little boy!